Halloween is right around the corner which means it is time for some Spooky Fun for the kiddos! This is a quick, simple and cheap project that will keep the little one’s busy for hours. So, it is a treat for them and you. I make my daughter a new batch of play dough around each holiday. I coordinate the colors to the holiday. One of my first blog posts was for Red, White & Blue Patriotic Play Dough. Since that post I have discovered that the Concentrated Gel Icing Colors make the play dough more vibrant than regular liquid food coloring. 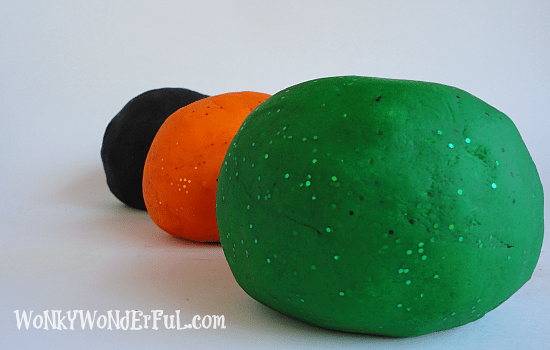 This time I made Orange, Green & Black Halloween Play Dough and added glitter to jazz it up. Before we get into the recipe and instructions I have something I must admit (Full Disclosure Here) … I messed up my own play dough recipe! Ooopsie. Instead of 2 tsp of Cream of Tartar, I added 2 Tb. As you can see in the photos it didn’t make much of a difference. The Cream of Tartar is added for elasticity, so adding more just makes the dough extra soft. In the future I will do it either way depending on how much Cream of Tartar I have in the cupboard. 2 tsp Cream of Tartar (or more for a softer dough)Instructions:Mix the gel coloring into the warm water until you have the desired color. Add all other ingredients and stir until smooth. Cook on low to medium/low in a non-stick pan. Continue to stir and cook for 5-10 minutes. 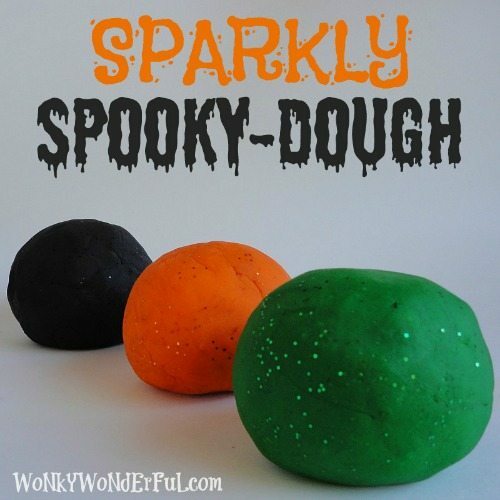 Add the glitter to the dough a minute or two before the dough is fully cooked. 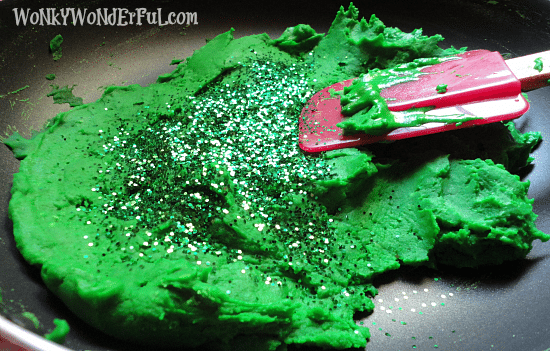 Or the glitter can be folded into the dough after it is done (I have added the glitter using both methods).Once the dough is firm and no longer sticky remove from pan and allow to cool for 2-3 minutes. Knead the dough a few times and make sure it is fully cooked. If it is still sticking to your hands and surface return dough to pan and cook for another minute or two. Once you have your play dough you will need a container to store it in. I have found that 17 ounce greek yogurt containers are perfect for storing a single batch of play dough. And the lids seal tight so your play dough doesn’t get stiff and crusty. Leave the containers plain or gussy them up like I did. I thoroughly cleaned the containers (obviously). Then once dry I spray painted the outside using Krylon Fusion for Plastics. Any paint made specifically for plastics will work. I then cut some foam shapes and used my Halloween stamps and paint to decorate them. I glued the foam shapes on with craft glue and called it a day.Attach a cookie cutter and tag to the container with ribbon and this would make a wonderful handmade gift or party favor. 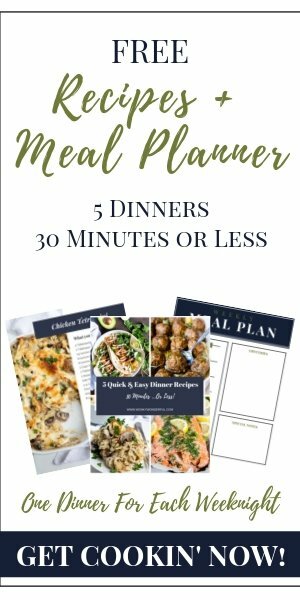 Plus, the colors can be changed to fit any occasion. My daughter, niece and nephew loved the green play dough.They made play dough Ninja Turtles. It would be an Awesome favor to give at a Teenage Mutant Ninja Turtle themed party.I hope you decide to make your own play dough. It is easy and great because you control the colors and ingredients. You can even add some Kool-Aid for a scented play dough. The options stretch as far as your creativity.